The time of inefficient, prehistoric, and cost-prohibitive gas monitoring measures is over. As we flip the calendar ahead to the modern era, it’s time to opt for a smarter, more efficient, and environmentally friendly way to monitor and detect harmful gas leaks coming from our working facilities. As we continue to evolve and learn about our environment, planet, and the negative ramifications of pollution which has plagued our atmosphere for too long, it’s time that we, as industry leaders, take preventative precautions in order to prohibit these fugitive emissions from escaping our facilities. In the past, this has been a difficult task; it’s required long hours, difficult and dangerous situations, and walking along tens, or even hundreds, of miles to monitor our facilities, pipelines, and other spaces to ensure that there are no hazardous gas leaks. But what if we told you there was a much more efficient, and smarter, way to monitor and detect gas leaks? Well, there is. At Safety Scan, we are committed to bettering the world through innovative solutions, and that’s just what we’re here to tell you about today. Through optical gas imaging, industries dealing with potentially harmful gases — commonly as unintended byproducts within refineries, gas pipelines, and manufacturing plants — have the ability to monitor their entire facility in real time through thermal imaging technology. Imagine, for instance, being able to hold a video camera and make a thorough scan of a miles-long stretch of pipeline without having to manually walk and inspect each section by hand. Well, with the Flir F320 optical gas imaging camera, that ability is now entirely possible. Its ergonomic design, real-time gas imaging technology, and comprehensive gas detection system makes this the best optical gas imaging device imaginable — and thanks to Safety Scan, it’s available now to industries within the United States. 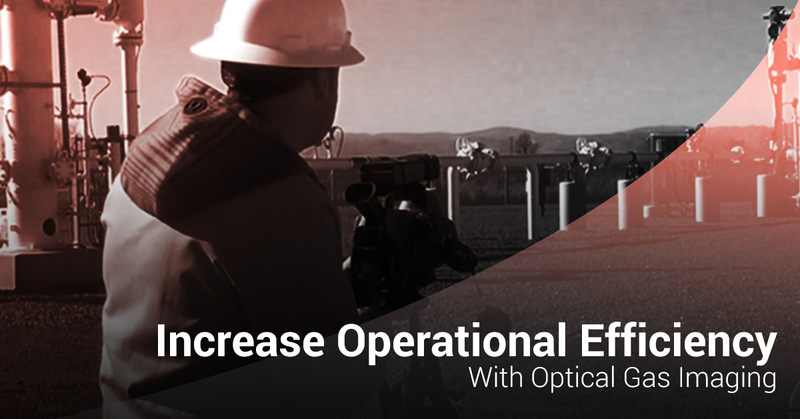 Keep reading to learn how optical gas imaging can increase operational efficiency across a wide range of industrial applications and contact Safety Scan today to request a free demonstration at your facility. How exactly does the Flir F320 optical gas imaging camera work? It’s really quite simple (and wonderful). The camera uses thermal imaging (infrared) technology to scan areas of concern for potentially harmful gases which are normally invisible to the naked eye. The great thing about the Flir is that it can scan large areas at once, without the need for the user to even move from their vantage point, and it can produce both still images and live video — which typically provides a clearer picture of fugitive emissions. The implementation of optical gas imaging at your facility can help save you time and money while avoiding complications and potentially disruptive gas leak events. Not only does this provide increased safety to your employees and company, it also helps mitigate the damage caused to the environment by fugitive emissions which can often go undetected for large periods of time. At Safety Scan, our aim is to better the world by providing innovative, smart gas leak detection solutions to a wide range of industries. With our technology, you can improve operational efficiency, maximize safety, and save hundreds (if not thousands) of dollars in the long run. Contact Safety Scan USA today to learn more about our optical gas imaging technology and request a free demonstration at your facility to see it for yourself.